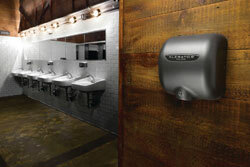 For over 50 years, Excel Dryer, has been manufacturing the finest American-made hand dryers and invented the original, patented XLERATOR® Hand Dryer. 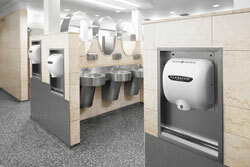 XLERATOR created the high-speed, energy-efficient hand dryer category, redefining the public perception of hand dryers and setting a new standard for performance, reliability and customer satisfaction. 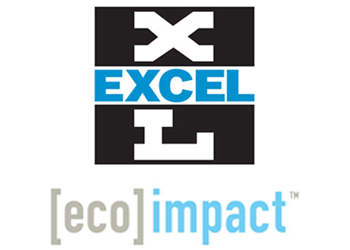 The XLERATOR was the first to receive Environmental Product Declaration certification, a third-party, verified document that substantiates its environmental sustainability. Excel Dryer continues to lead the industry with its expanded and enhanced product line featuring speed and sound controls, adjustable heat settings, an externally visible LED light for streamlining maintenance and multi-voltage options. 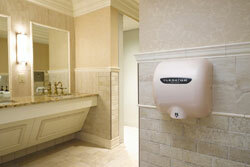 Combined with the most options and complete line of accessories including a HEPA Filtration System and custom covers, the best hand drying solution can be designed for any restroom environment. 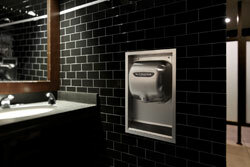 In 2003, Excel Dryer became the first hand dryer manufacturer member of the United States Green Building Council (USGBC) and six years later, was the first hand dryer manufacturer to commission an independent, third-party Life Cycle Assessment (LCA) (peer reviewed to ISO 14040 standards) that confirmed the XLERATOR Hand Dryer reduces the carbon footprint of hand drying up to 50-75 percent versus even 100 percent recycled paper towels. 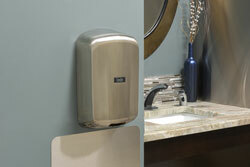 The following year, hand dryers in the XLERATOR line of products became the first and only to achieve Made In USA® certification. Excel Dryer again solidified its role as industry leader, recognizing that the methods to test and report on hand dryer environmental impact and performance needed to be standardized, and taking the steps necessary to bring about this change. Excel teamed with UL Environment and other leading hand dryer manufacturers to publish the first global Product Category Rules (PCR) for Hand Dryers and is proud to have been selected to chair the project. The PCR created evaluation methods through industry consensus that compare products’ environmental impact and performance. Third-party testing results then enable specifiers and buyers to make a true apples-to-apples comparison of products and make more informed decisions. For more information, visit exceldryer.com. 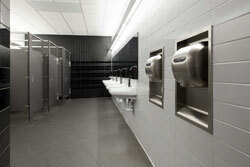 Excel Dryer’s new, expanded and enhanced product line — featuring the EPD Certified XLERATOR®, XLERATOReco® and ThinAir® Hand Dryers — facilitates the design of the very best hand drying solution for any restroom environment. By making some of the most popular features standard, Excel Dryer continues to enhance the user experience and provide smarter products that are easier to maintain. Enhanced standard features include adjustable speed and sound controls, adjustable heat settings (high, medium, low and off), an externally visible Service LED and multi-voltage options available in 110V-120V or 208V-277V volts in 50 or 60 hertz, accommodating global electrical needs.